From a garment steamer and a smart tea kettle controlled by a smart phone to a skinny high-end wine refrigerator and plates that keep your food hot or cold, there are a number of new gadgets that have recently or will soon hit the market that will have you wondering how you ever lived without them until now. The first gadget we love is the CHI “Easy Steam” Fabric and Garment Steamer, a brand-new, high performance hands-free solution for anyone who wants their clothes to look wrinkle-free. The new revolutionary product steams most garments in less than two minutes, with one tap of a single button and unlike a traditional hand-held steamer, the CHI Easy Steam does all the work for you. Based on the brand’s innovative, advanced technology and contemporary design, CHI’s Easy Steam is the first of its kind, with the perfect balance of style and function, ease and convenience. Simply hang the Easy Steam (which resembles a fabric garment bag) from a convenient spot such as the back of a door, a shower rod or the closet. Remove the water reservoir from the base of the steamer and fill it to the desired level. Then hang your clothing inside the bag and zip it shut. Turn it on and the steaming begins. 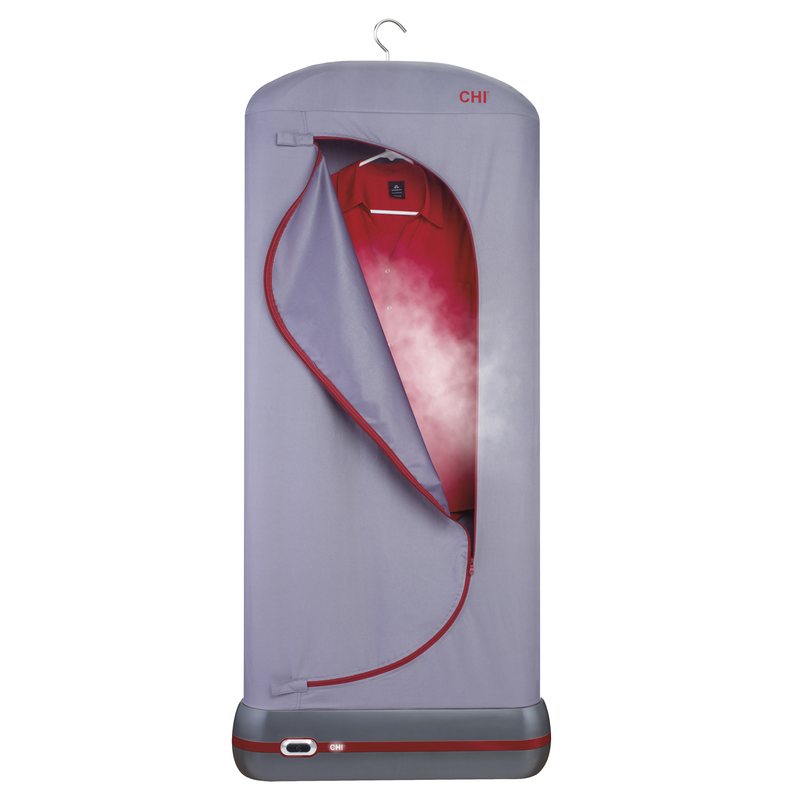 The garment bag is easy to store in a closet as it collapses and stays closed with a hook and loop strap. The CHI Easy Steam (model 11572) retails for $160 and is available at Amazon.com. Sub-Zero has introduced its slimmest wine refrigerator to date. The IW-18 Integrated Wine Storage will enable even the smallest galley or apartment to have the finest in wine preservation. At just 18″ wide, the unit fits into almost any kitchen, study, media room—wherever you might enjoy imbibing—and like all integrated units, it virtually disappears into your decor. Slim as it is, it still delivers the most advanced protection features available, to defeat the natural enemies of wine – heat, UV light, humidity and vibration – and preserve every bit of wine’s complexity and character. 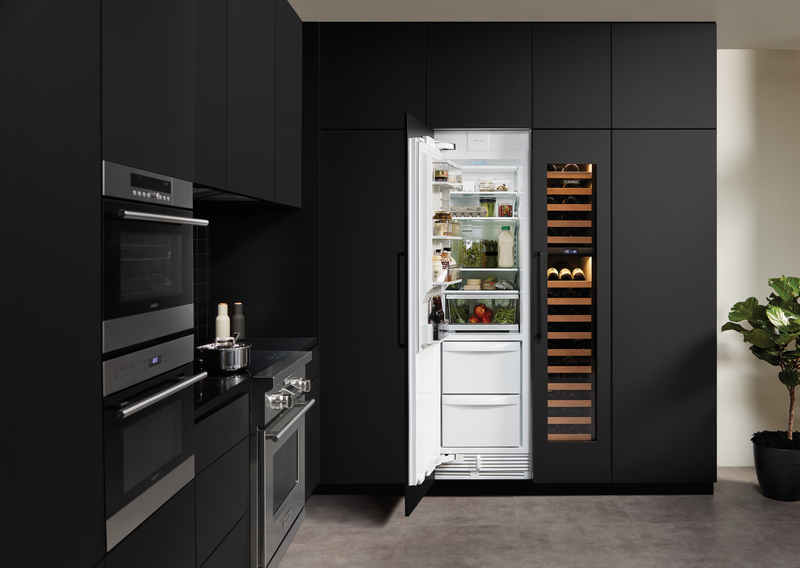 The 18″ wide Sub-Zero wine refrigerator. Photo Courtesy of Sub-Zero. The IW-18 has two individually controlled storage zones, so you can store and serve both reds and whites at the proper temperature. Racks glide smoothly in and out, providing access without agitating wine. UV-resistant, bronze-tinted glass prevents light exposure. And dual evaporators maintain constant, moderate humidity. With fifteen racks and a 59-bottle capacity, the IW-18 will preserve and protect your wine collection in an admirably space-efficient way. The manufacturer’s suggested retail price is $5,835. Here’s a gadget for whiskey drinkers and cocktail lovers alike—the Shtox is a design award-winning rotating glass tumbler that spins. At first glance, the rotation of the glass seems unbelievable and difficult to understand. But in fact this “phenomenon” is as simple as the rotation of a wheel. You just take the glass, put it on a table and with a slight movement of the hand give the glass a spin, like a top. The glass will rotate around and around, and will not topple over—mixing your cocktail at the same time. 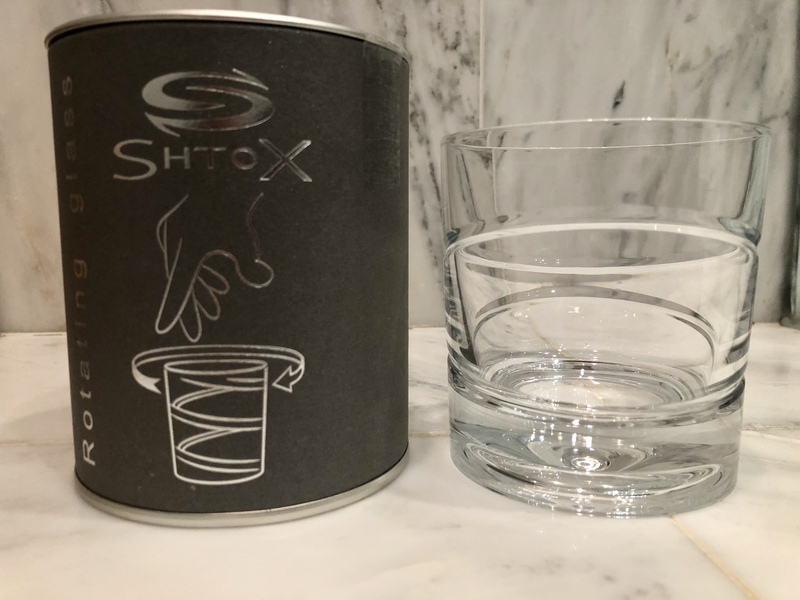 The shape of the bottom of the Shtox glass is specially designed and manufactured to allow it to easily spin on any hard flat surface without toppling over. Made in Germany by the Nachtmann factory, the Shtox glass is produced of high quality crystal. The crystal tumblers are available to purchase in a variety of designs at Amazon.com (retail price is $60 each) and are a perfect gift for a whiskey drinker. 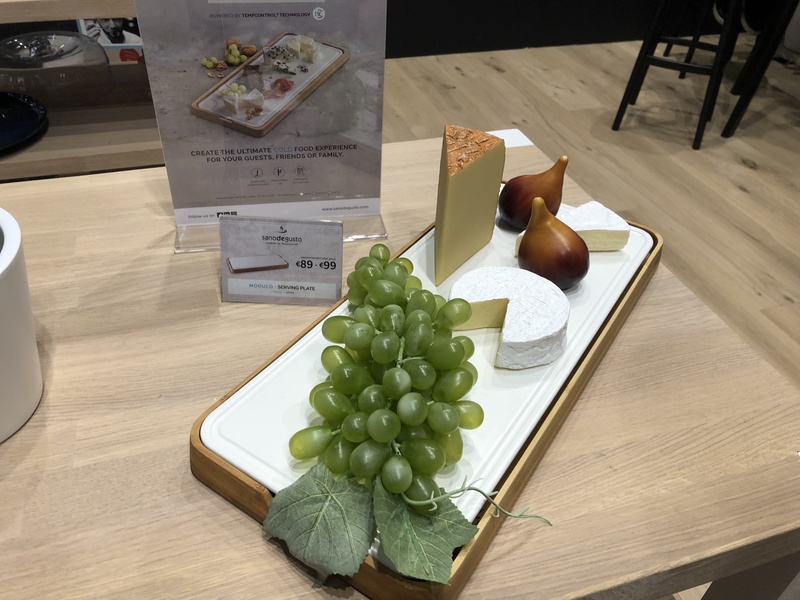 Ideal for entertaining, Sanodegusto, a division of Belgium-based Promeco Group, is now offering tableware that retain either heat or cold temperatures to keep food warm or cold. Sanodegusto’s Tempcontrol® is a revolutionary, unique and patented technology that keeps tableware warm or cold. After heating up or cooling down, the technology slowly releases its warmth or cold and the ceramic dishware will retain its temperature for more than 30 minutes. The plate must be pre-heated in a warmer or oven at 194°F. 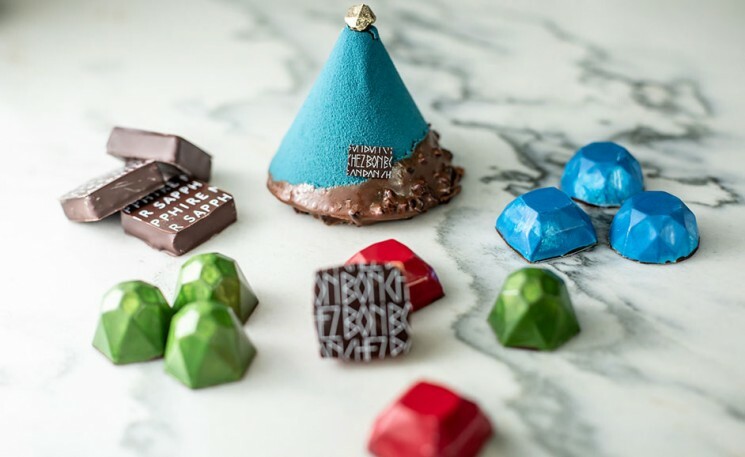 It will then retain a temperature of 131°F, which is ideal for keeping such dishes as steak and fish warm, and the food will also keep its flavor and taste. Likewise, after Sanodegusto’s plate for cool temperatures is placed in a freezer for 70 minutes, it will retain a temperature of 39°F for up to 30 minutes, which is ideal for keeping cold dishes such as carpaccio, shellfish, cheeses, tapas, sushi or even desserts fresh on a plate. This gadget is perfect for a kitchen or office as it is a sleek stainless steel tea kettle made by Bugatti that is like no other. 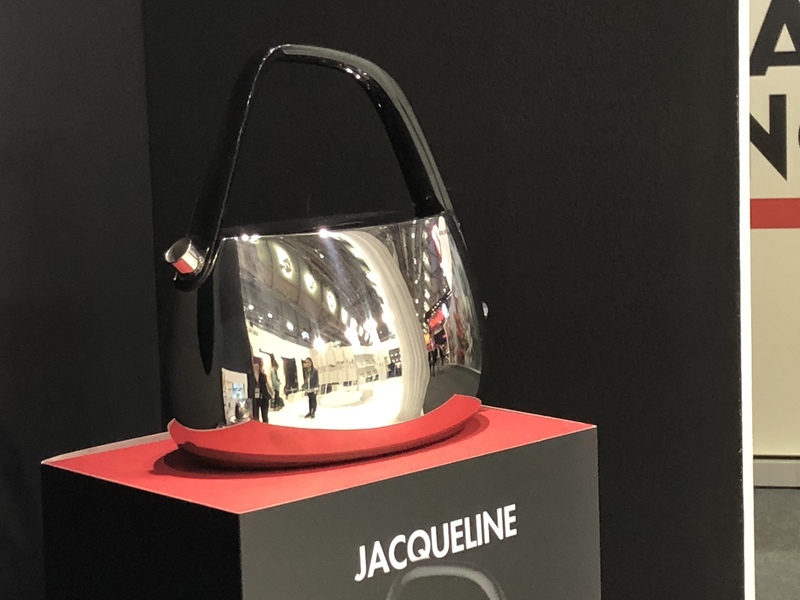 Called the Jacqueline, it is a smart tea kettle that combines technology with style as it can be remotely controlled through an App on a smart phone. The Jacqueline sits on a base that lights up when in use. You can prepare the perfect infusion adjusting the water temperature at the needed degree (from 40°C/104°F to 100°C/212°F) for the most refined and precious teas. You can set the “Keep Warm” function, which maintains water at the desired temperature for up to three hours. The Bugatti B Chef App, which is available for the iPhone, iPad and Android, will enable you to easily program the perfect infusion at your desired temperature and set the time for each day of the week you want the kettle to operate. The app will even tell you when the water is ready. The retail price for the Jacqueline is 299 Euros (approximately $371). The kettle can be purchased through the Bugatti website.